A lot of women ages 35 years and above are worrying about wrinkle-related problems. Of course, there are different ways to resolve this common skin concern. 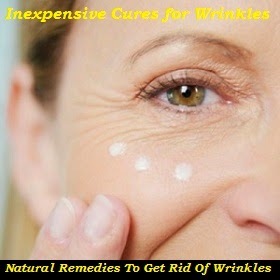 Some of the inexpensive solutions include lotions, moisturizers, and anti-aging creams. On the other hand, those who do not mind spending big bucks to ensure that they look fresh and youthful again have the option of getting Botox, face lifts, fillers, lasers, or liposuction. Understanding the main causes of wrinkles will give you great insights about how to avoid and minimize the problem In the first place. Generally speaking, direct sun exposure is the leading cause of wrinkles. Another leading reason for premature aging is the habit of smoking. The harmful content of cigarettes can greatly damage the skin. Next, poor diet, lack of exercise, and stress are common contributors for a person to have unhealthy skin. Actually, other factors may also be considered such as rapid weight loss, heredity, skin pigmentation, and more. Before buying any product in the market, you may want to know that some remedies may already be within easy reach. Why not check out what you have in the kitchen and see if you have some of these natural wrinkle treatments? Lemon juice is one of the most effective ways to get rid of wrinkles because of its deep cleansing agent. Simply massage the juice all over your skin and you will be surprised with the result if you use this often. This type of cure has been used since the ancient times. Massage the cabbage juice to your facial skin and let it dry. After that, rinse with warm water and your skin will feel fresh all over again. Mix rose water with honey and turmeric. Use the mixture on your skin so you can eliminate wrinkles quicker. This one contains a lot of vitamins that are not only good for your body but also for your skin. Ideally, you have to massage the mashed papaya pulp on your face and neck. Now this is one of the most popular anti-aging remedies. Separate the egg whites and mix it with coconut oil. Apply the mixture to the face and allow it to dry completely before rinsing it off. 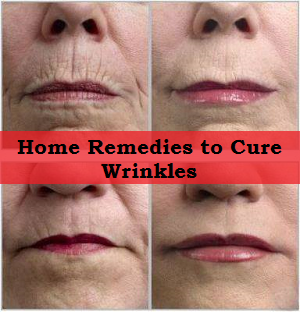 By taking advantage of these simple home remedies, wrinkles do not have to be a constant problem anymore. To learn more about how to get rid of wrinkles, you may do additional research on the web and find wrinkle treatment online.